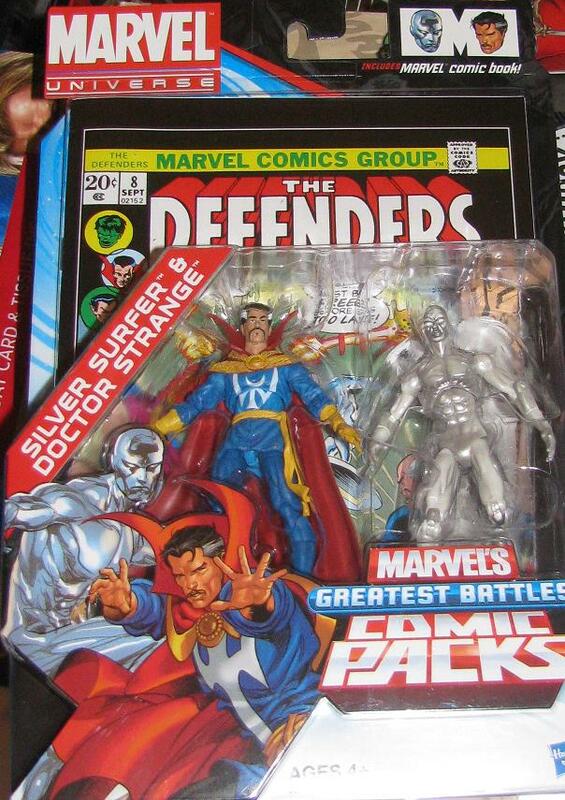 Sure enough they have made the Defenders 2-Pack! It has Strange and Surfer and I think the only reason the Hulk is not in this 2 pack is because they already brought out the Hulk/Wolverine 2-pack. So I can’t complain… then again – when have I ever let reality stop me from ranting! Actually, I was pretty happy to get this 2-pack. 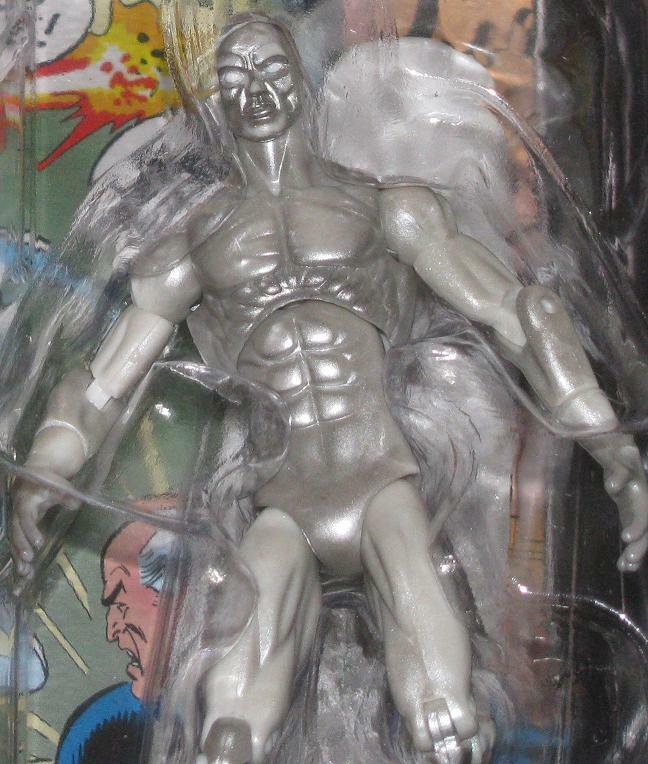 There is a slight paint change from the original Surfer to this one – but there isn’t much you can do otherwise to make this figure look different. He’s freaking Silver! Put some shiny spots on him – at least that’s something new! And to top it off – the Strange figure is the same one we received on the single card. Part of the reason I bought this is because I like to display the figures in the original packaging – yes, I am one of those – and I do like how they made these 2-packs with a comic that features each of the characters! So, while we aren’t exactly getting anything new – it’s hard to resist picking up such great figures! 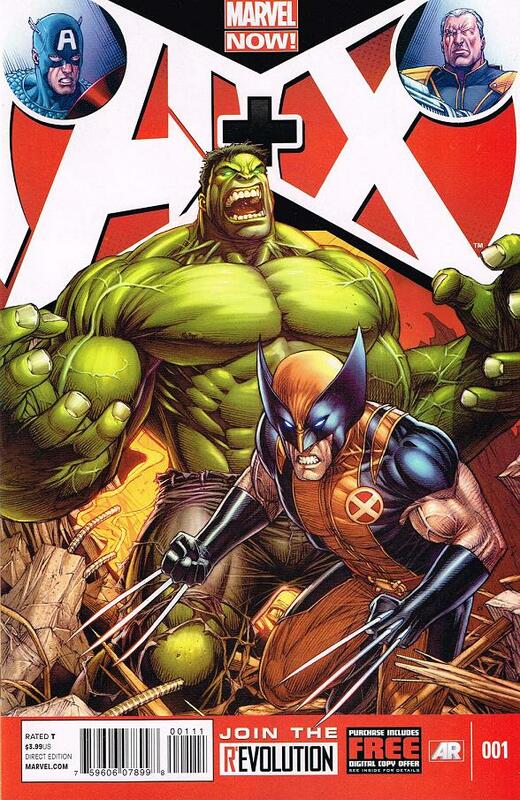 The 2 most powerful members… other than Hulk! 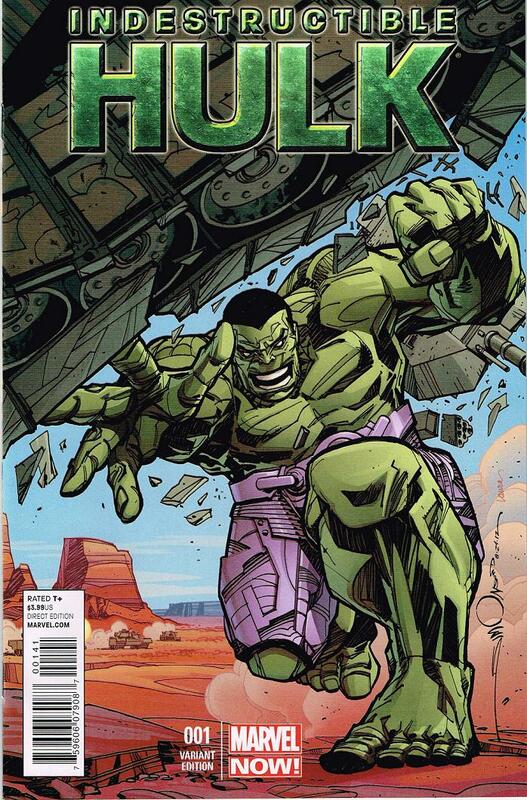 Early on in the issue Banner says he realizes that there is no “cure” for the Hulk. The latest Hulk scribes seem to forget all the times that Banner has actually been cured of the Hulk! Why? 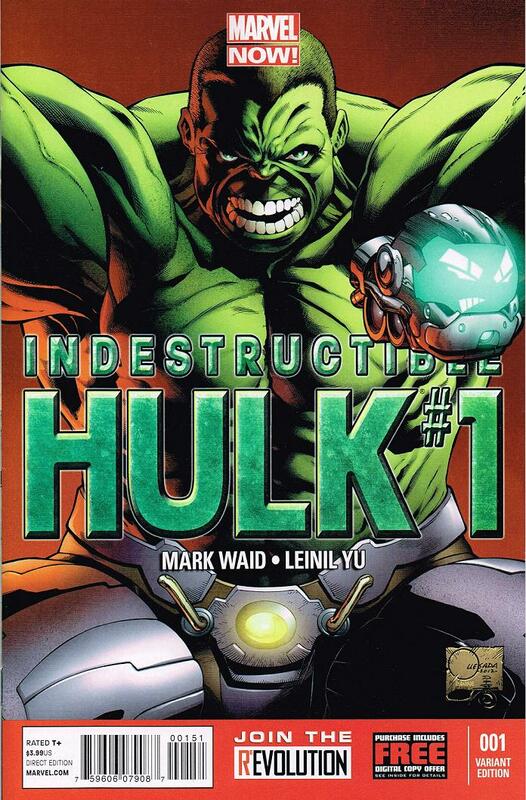 You should be forced to know your Hulk lore before taking the reigns on the title. I also think it’s funny that Waid writes that Banner realizes their is no cure right after Aaron wrote an entire arc about Banner collecting these ridiculous trinkets and magical items to create a cure for the Hulk. Funny how Waid even gives the middle finger to Aaron’s run without really doing so at all! As far as the issue itself goes – it’s a really interesting start! The Hulk now works for SHEILD? Yeah, that works for me – especially if he is used as a weapon – one of the most powerful and deadliest weapons around! Waid has certainly started things off with a real bang – he didn’t even wait (like so many others have) to give us some great action – and not some arbitrary “killing a big prehistoric whale” kind of action. I’ve been burned before with interesting starts (screw you Aaron) but I trust Waid to deliver a exceptional new era of Hulk. Variants this time around are plentiful (again). 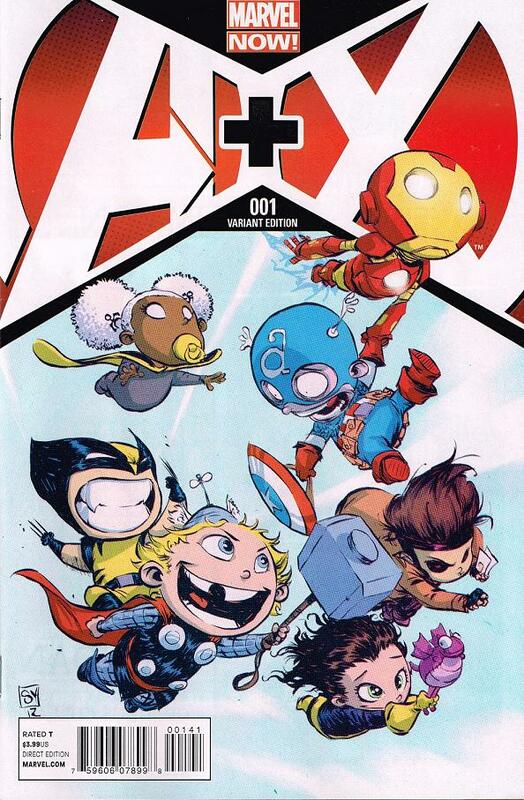 We have the regular cover, a Skottie Young – who, in my opinion, should do variants for every comic ever, a 1:25 Leinel Yu cover, a 1:50 Walter Simonson cover (which is the least impressive), a 1:100 Quesada cover – and the even rarer 1:150 colorless Quesada cover. 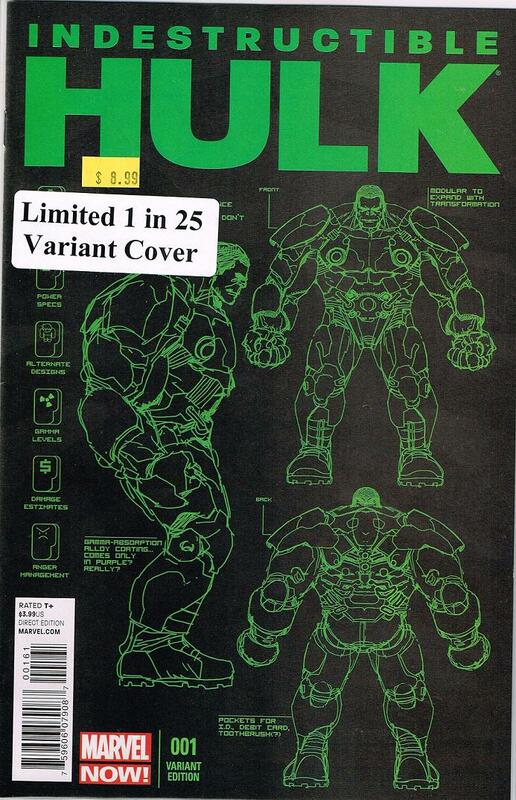 I do know there is a Phantom Variant – as well as the blank cover. 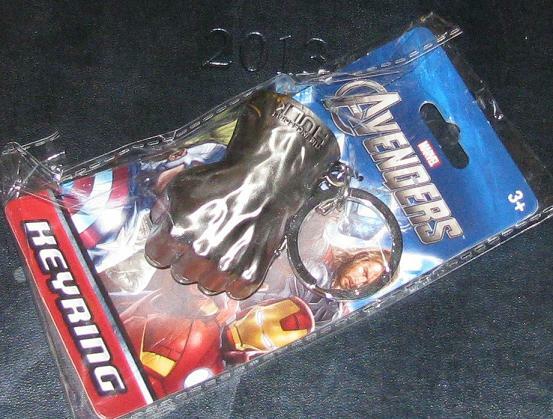 My LCS said they did not receive those yet – but will be getting them in next week. I will be picking mine up then. Hope everyone’s Turkey Day was as fattening and fantastic as mine! 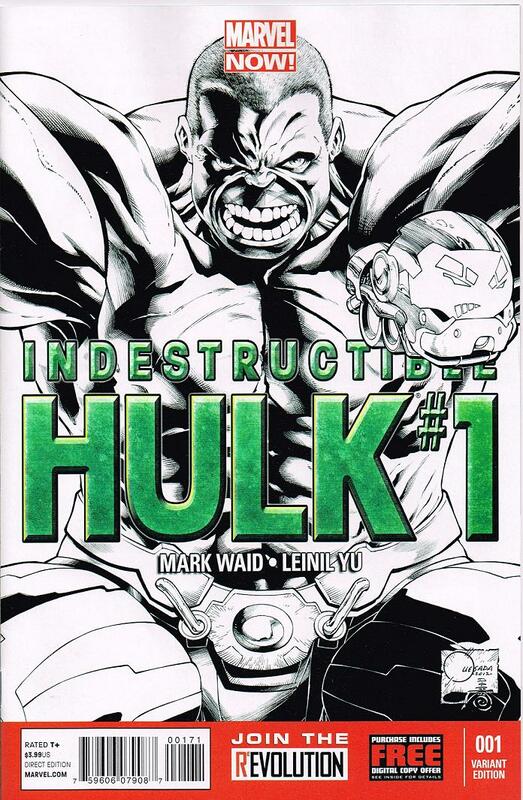 I wish I could have had the review for Indestructible Hulk #1 ready – but I had a dark meat eating contest with my brother-in-law (and that’s turkey meat – get your mind out of the gutter) and I just came out of the food coma. I will be reviewing the issue for tomorrow’s post – but I want to re-read it and get some time and perspective. Also, I have not scanned any of the covers in just yet. 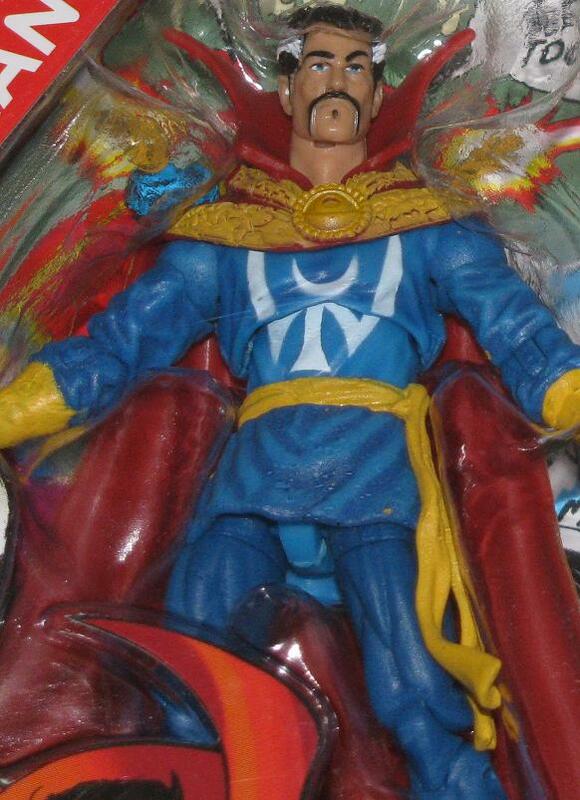 So, instead of the review I bring you an action figure from Hong Kong whose hands are twice as big as his tiny little head. His lack of neck is somewhat disturbing… but then put his arm up and this little plastic guy does his best ET impression and TA-DAH! His neck sprouts up from his shoulders! Looking close you can see that the people of Hong Kong might be confused about how the anatomy of a human being is put together as his left arm (the picture’s right) is put on backwards. 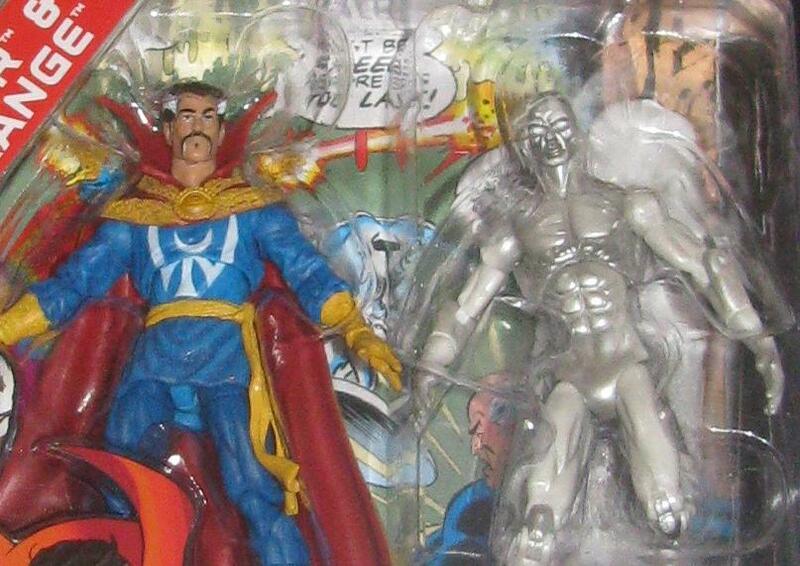 This 4″ figure is a pretty cool piece to get – there are a few on ebay right now – so if you want them act fast! This thing is HEAVY! 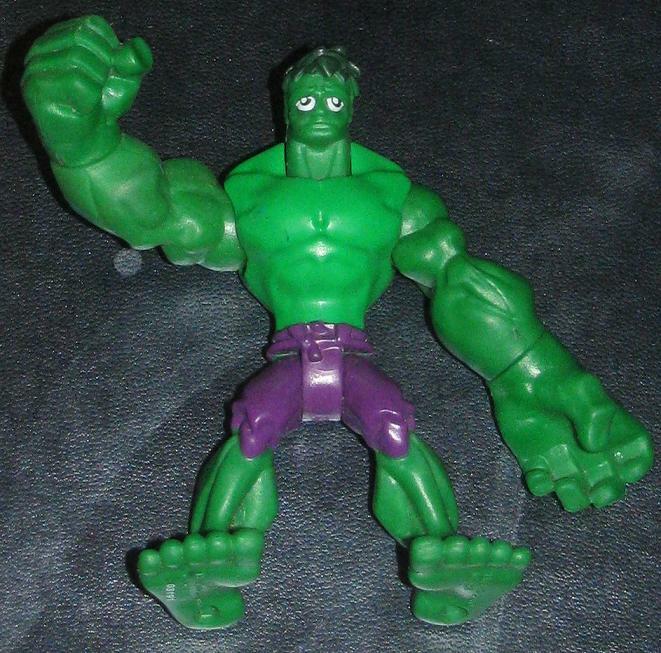 I rather have the Hulk’s face – but when I saw this thing I was psyched – the closed fist really does encapsulate the Hulk’s attitude and personality perfectly! I should mention that having heavy key chains on your car keys is not good for the ignition – so choose something other than that. Hey, what can I say? I like to spread the knowledge – it can’t always be about the Hulk! There is an outside world out there! 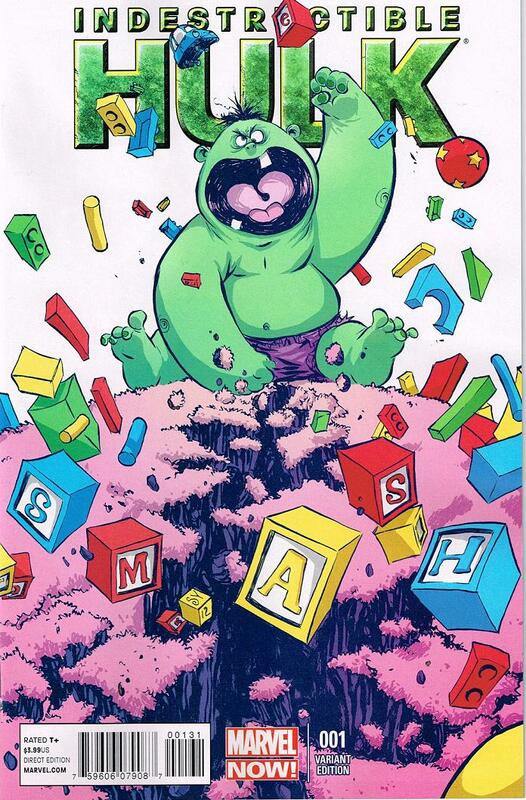 That being said – Hulk #1 comes out Wednesday! Really Gentle Giant?!?!? I thought we were over this! After the last successful Hulk bust – Gentle Giant is releasing a hideous new bust based on the Avengers movie. I can honestly say I will not be in line for this one… ever. Let me explain: Look back to the hey day of Dale. His beautiful illustrations were a thing of beauty – and no one could draw actions scenes any bigger or better than he! This issue shows that Dale is fantastic at grand splash pages of posed heroes – but his action scenes in this book lack any real fluidity to the characters – especially Logan! many times I looked at the pages wondering if the characters were in pain keeping the poses they were in – because they certainly didn’t look natural or comfortable. Even normal looking poses look like they are stuck. 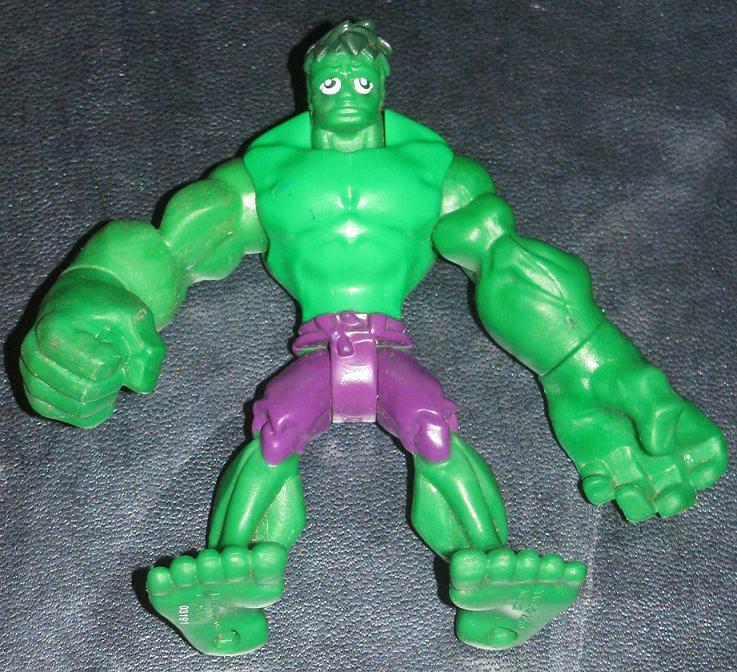 What the hell happened to the Hulk’s neck? 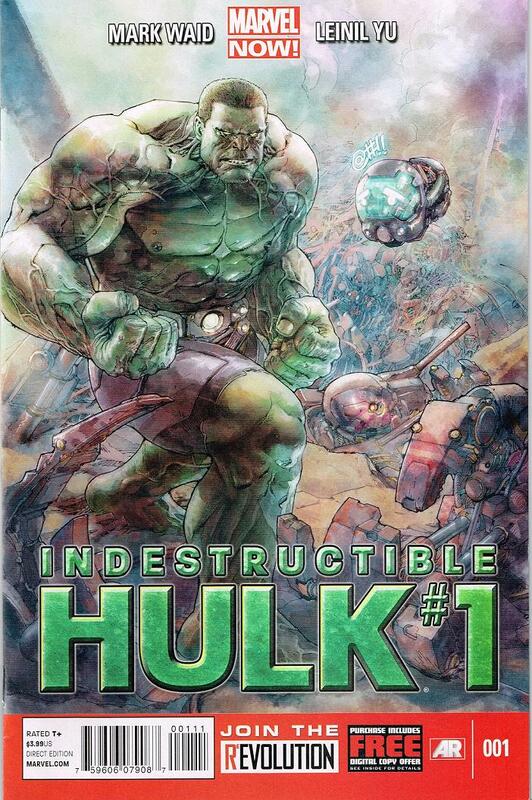 With that said – Keown can still draw the hell out of a book and I am glad to see that he contributed to the Hulk part of the story! The story itself… not so good. Loeb has a way of sucking the fun out of reading comics. He doesn’t bother reading up on which version of the character is currently gracing the pages of their own series – he just writes whichever version he wants to write. 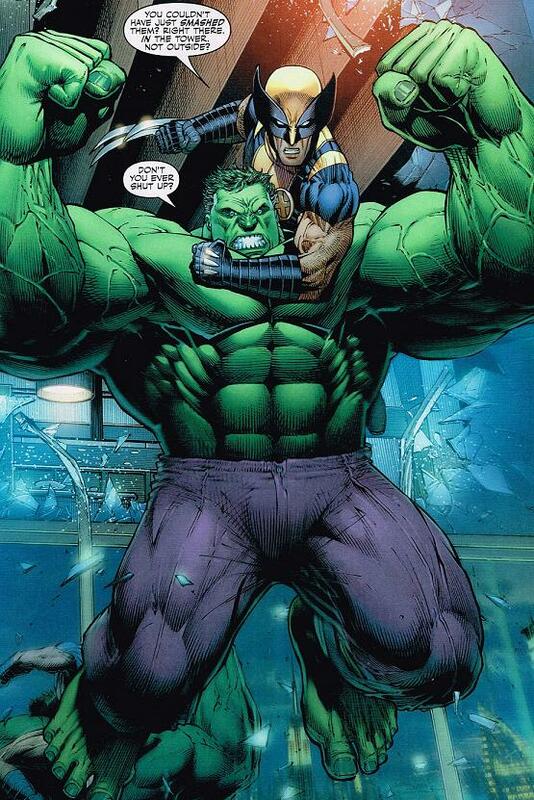 Case in point – Hulk is the savage, child-like monster. 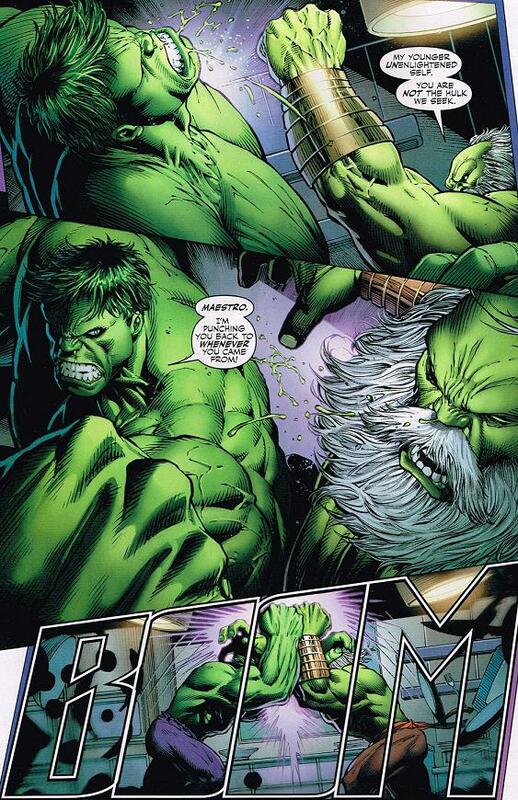 Aaron’s terrible writing didn’t even put that Hulk back into the fray! I can be pretty sure that these glasses are made with the smallest amount of care it takes to make glasses – sure – they may easily break, but something about these sets makes me all giddy inside. I think I like the glass sets more than I do some of the action figures that come out! In fact, I may have to create a page just to showcase these sets – because there have been so many! These glasses are a whole lot slimmer than the sets before them. That does mean you can not drink yourself into oblivion with just one glass… it may take one and a half now! These may surpass the Toon Tumblers for me!